The company was founded by Ralph Cadwallader to diversify his growing water well company. He believed strongly in the use of water source heat pumps as a natural means of energy conservation. 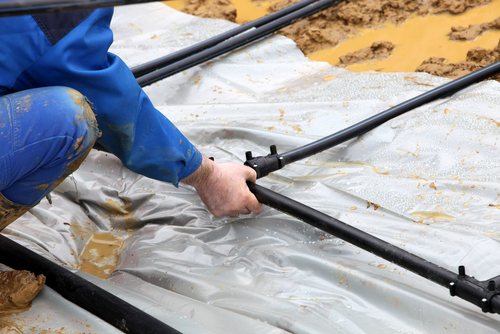 GeoExchange has been available for several decades but has often been misunderstood. As a sustainable EPA and Department of Energy approved technology, this real energy saver is now being deployed in many wide scale applications. After nearly three decades, LoopTech continues to lead providers in "Best of Class" design, installation and related services for GeoExchange systems. Passionate delivery is not just a fine sounding slogan for LoopTech, it is the core of the firm’s identity and purpose. LoopTech demonstrates passionate delivery on every GeoExchange project they undertake. Through innovation, value engineering, continuous project improvement and whole hearted execution, LoopTech constantly strives to improve its delivery. LoopTech requested and ordered the first pre-manufactured dual coil loops to save the costly alternative of building them in the field. LoopTech was the first to require incremental footage markings on the pipe to verify depth. LoopTech was the first to offer our clients a FIVE YEAR WARRANTY, now an industry standard. LoopTech has value engineered millions of dollars in savings for our clients. For example, LoopTech advised one of the top engineering firms in New Mexico on how to reduce costs by installing four valve vaults instead of eight. This recommendation saved the firm $100,000 on the entire project. In another similar value engineering approach for Lincoln Public Schools, LoopTech saved the school approximately $1,000,000. Passion is demonstrated in our projects through the special attention given to delivering real energy savings, not just the “green” job title. LoopTech does not take the design for face value. Most competitors will bid and install a job as specified, no questions asked. LoopTech will review each project design thoroughly to verify if it will serve the client for the long term. LoopTech insists on keeping the bar high in our design and construction in order to serve the best interests of our clients. LoopTech cares about every single project and the industry as a whole. LoopTech desires for every GeoExchange project to save resources and serve the client well. Higher standards can only improve the renewable energy industry, GeoExchange specifically. It is clear that passionate delivery to the customer is a part of LoopTech’s daily routine and their guarantee for a bright and prosperous future. LoopTech commits to create a long term, solid growth company that provides sustainable results for its stake holders. LoopTech will invest in Mechanical Contractors, GCs, Owners and Vendors motivated to work with us because we provide a valuable product/service, engendering trust and confidence.